If you’re serious about storage you know it’s crucial to keep everything organized. Garages are often the go-to space for all the tools and extra equipment that just won’t fit inside the house, but if things aren’t put away in their proper place, it’s too easy to lose important hardware or seasonal essentials. If you want to keep everything in its place, we offer expert layout advice using our military-grade, high quality storage cabinets. 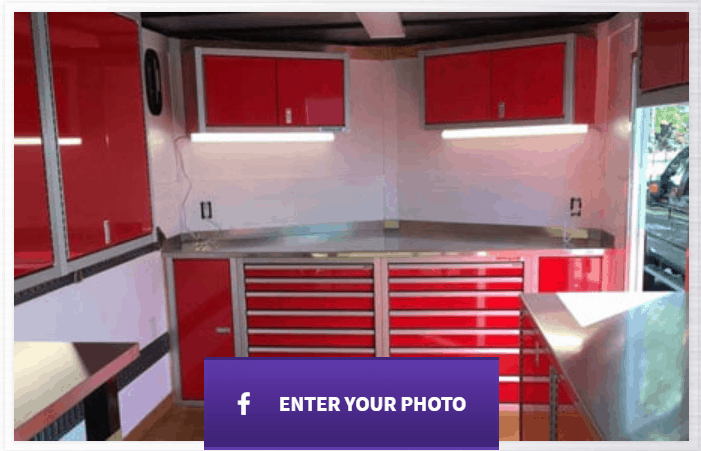 We thought it would be fun to see how our customers set up their cabinets in their garage, trailer or other vehicle, shop, and other spaces. That’s why we want to invite you to submit your photo to our cabinet photo of the month contest. Whether you’ve set up your cabinets in your garage, shop or even your van, share your cabinet creation with the world! At Moduline Cabinets we believe in efficiency and aesthetics, that’s why our aluminum storage cabinets and lightweight aluminum trailer cabinets are the best solution for your storage needs. Designed to fit any space, our preconfigured or custom layouts can fit perfectly anywhere. Our military-grade aluminum cabinets are designed to for easy set up and quick use. We take pride in our military-grade cabinet systems, and with their professional quality and sleek aesthetic you should too. Show yours off by sending in your photo!